New title! A portable visual inventory of today's world incorporating dictionary-scale definitions. 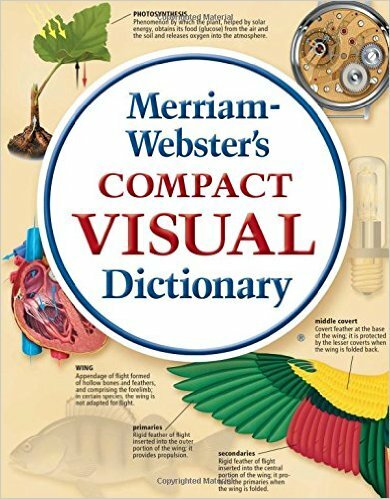 2,600 highly detailed illustrations (many in full color) are enhanced by 9,500 clear and concise definitions prepared in cooperation with Merriam-Webster lexicographers. Chapters and corresponding themes include: universe and earth; house and do-it-yourself; sports and games; and much more! Ideal for teachers, parents, translators, and students.